There are many periods of electronic music that are close to my heart. The birth and rise of Ed Banger Records was quite something to behold at the time. For a while their sound seemed to be everywhere, and it was unstoppable. The gritty, distinctive, sometimes distorted production took club music to a new place entirely, mashing up the sound of heavy metal, hip-hop and dance music and fearlessly tearing up dancefloors from Paris to London to New York and beyond. The Ed Banger crew: Busy P, Justice, Mr Oizo, Feadz, DJ Mehdi, Kavinsky, SebastiAn and Uffie, to name a few, were cool, stylish, talented and generally seemed to give zero fucks for the kind of dance music anyone were used to. They made their own rules, played legendary warehouse review parties in London, insane boat parties in Paris, and were the soundtrack in countless underground nightclubs. Ed Banger was the party. The label’s superstars were “remix warlocks” Justice, who broke into the top 20 charts with their genre-defining rework of Simian “We Are Your Friends”. This was a prime-time anthem that many DJs saved for that all important banger at the end of the night. Justice went on to release the jaw-dropping “Cross” album; rich in drama, depth and concept, and produced to drive sound systems and listeners to their limits. The opening track “Genesis” was a killer statement of intent, opening DJ sets by the likes of Boys Noize at the time to ecstatic response. 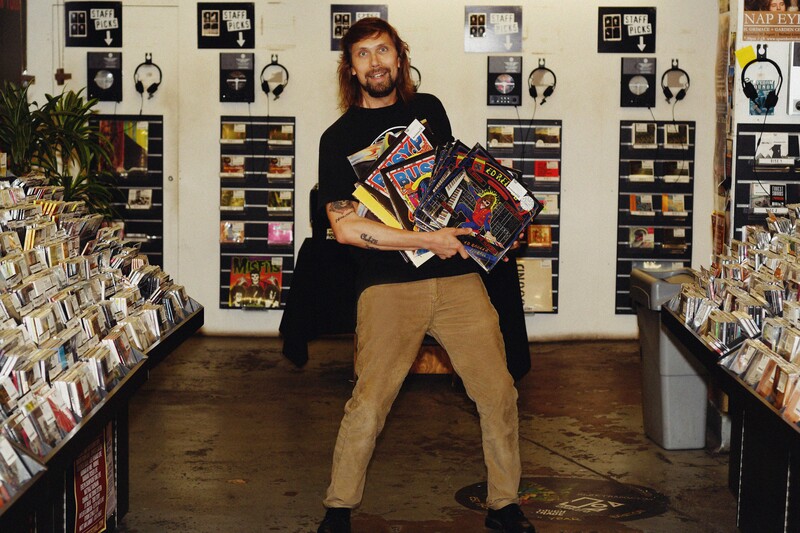 During the heyday of Ed Banger, label boss and legendary party animal Pedro Winters aka Busy P was indeed living up to his nickname, not only running the label and DJing, but also managing dance music royalty Daft Punk. As the sound of Daft Punk and Ed Banger arrived in the United States it was arguably adopted and mutated by local acts such as Skrillex who went on to become the sound of EDM. It’s clear that Pedro’s various adventures have had a definitive impact on the world of dance music as we know it. 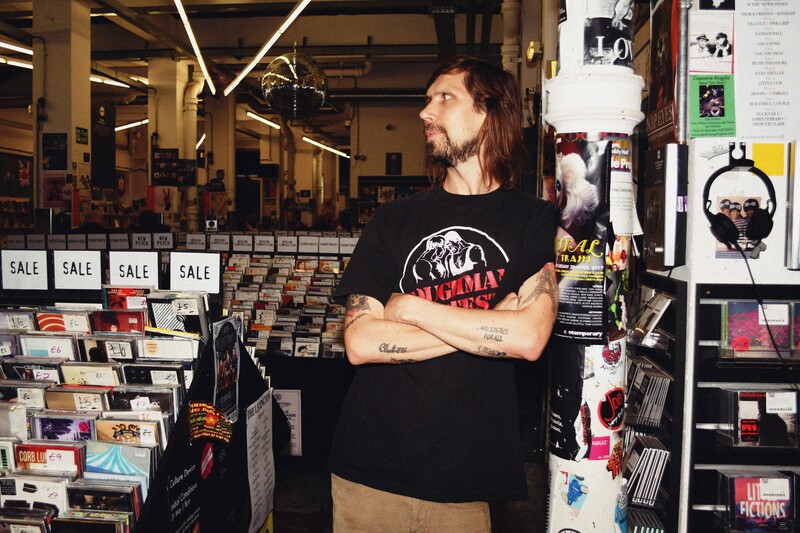 I caught up with Pedro during his recent visit to London, where he launched the 100 th Ed Banger release “Ed Rec 100” with a pinball tournament in Rough Trade East. I launched Ed Banger records by accident, just because I liked a track from Mr. Flash called “Radar Rider”, the first ever release on the label. Your background was in Heavy Metal, hip-hop and rock, how did you get into dance music and what inspired you to start Ed Banger Records? My older brother introduced me to Led Zeppelin, The Cure and Pink Floyd. From that I went into Run DMC and the Beastie Boys when I was 15 years old. It was also the good old days of MTV. I discovered Guns’n’Roses, Metallica and Slayer thanks to Headbangers Ball on MTV. All those artists opened my ears and eyes, it was hidden inside of me till 2003. I launched Ed Banger records by accident, just because I liked a track from Mr. Flash called “Radar Rider”, the first ever release on the label. How did you build and expand Ed Banger from its Paris roots into a global presence? Ed Banger arrived 14 years ago, so we were the kids of MySpace and the social networking era. We were releasing records and at the same time speaking online with some Japanese DJ, our friends in the UK, in the US, and it was a time where it was easy to communicate and share the music. Also, I worked with Daft Punk for 12 years, so already had my fingers into the electronic scene for a while. Thanks to the Internet we managed to spread the love and the vibe of Ed Banger all around the world. I remember records like SebastiAn “Ross, Ross, Ross” and Justice “Waters of Nazareth” dropping on the electronic music scene like bombs. The production was magnificently brutal: hard, fresh and distinctive. We kind of invented Heavy Metal Disco! The sound was loud but funky, aggressive but romantic, nostalgic but ultra-modern. French acts like Daft Punk and Justice arguably opened America for this harder style of electronic dance music which later came to mutate into EDM. At the time Justice were dance music rockstars, what was it like touring with them? What happened on tour stays on tour… It’s definitely something we’ll remember all our life. I’m so happy we were able to share those unique moments together. All I can tell you is about that girl who jumped in the tour bus in Liverpool and woke up in Glasgow… She’s fine. 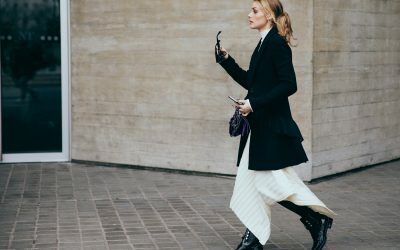 Justice in particular had a strong image iconography and style since day one, which earned them a lot of attention in the style press and a collaboration with Dior Homme. 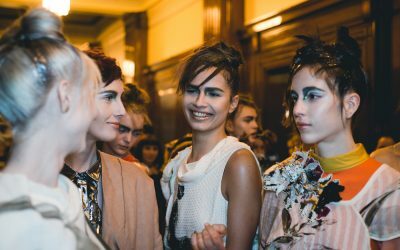 Is fashion important to you personally, is style important as a manager and label boss? I like the art side of fashion. I like the freedom of creators. Art is making people think and imagining life with a different filter. This is why we often connect with designers. Style is of course important, Justice would not be Justice without their leather jackets while most of the DJs are wearing American Apparel hoodies. How has the dance music scene changed globally since you started? Dance music still makes people dance, nothing really changed. Oh yes, the World has changed… Sad part, people Snapchat rather than dance. Do you still go clubbing and what are your venues of choice these days? I have to admit I go out mostly when I DJ or when my artists are performing. But I’m still in love with nightlife. I’m soon going back to Womb in Tokyo, probably one of the loudest and best clubs on the planet. I love Phonox in London, intimate clubbing, I’m going there in September. Do you still collaborate with Daft Punk, and what can we expect from them next? They have defined a new level of success for a dance music act, and retained their credibility in doing it. I was working for them from 1996 till 2008. Once you pop out of the Daft bubble you’re not part of the game anymore, sorry I can’t tell you anything. Cassius also recently collaborated with Pharrell, and have kept their finger on the pulse of dance music for a long time. Do you see them having similar levels of success to Daft Punk. Daft Punk is Daft Punk, you can’t compare them to anyone. Cassius are the godfathers of French Touch, they were there before us and they opened the way with La Funk Mob and Motorbass. I repeat them so much and I’m so happy to call them my friends. Even if Cassius is not that successful they can count on me. Who should we be looking out for next on Ed Banger? Borussia is the new rookie of the label. A pure house music producer. What was your proudest moment for Ed Banger? 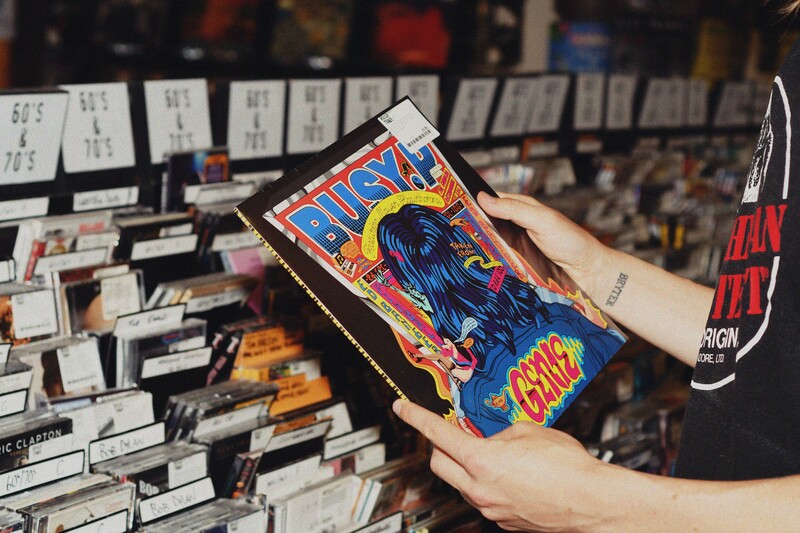 What’s next for Busy P? I’m working on a new EP “Genie” featuring Mayer Hawthorne was my real first single, I’m so happy it’s doing well. Congratulations on your 100 th release for the label. How did you put together the tracklisting? The idea was just to celebrate Ed Banger by bringing together all the artists of the label with 17 unreleased and exclusive tracks on this compilation, and also to give an idea of where the label is today in 2017. I hope you enjoy the diversity of music.